The LA Kings won’t qualify Toby Rieder, hockey operations confirmed to LA Kings Insider. First reported by Elliotte Friedman in today’s 31 Thoughts, this was an expected decision after the team came to terms with Ilya Kovalchuk on a three-year, $18.75-million contract over the weekend. Rieder will be eligible to become an unrestricted free agent on July 1. This is not necessarily a reflection of the player, but rather of the salary cap realities of a team that has $6.25M less wiggle room for the upcoming season. With a qualifying offer of $2.45M, it would have been likely that Rieder would have accepted the offer, a sizeable commitment, even for one year, for a player whose abbreviated 2017-18 tenure included four goals and six points in 20 games and no points in four playoff games. I don’t have any information right now as to whether the team will circle back to Rieder in an attempt to ink him to a less expensive contract. Keaton Ellerby, for what it’s worth, re-signed with Los Angeles in 2013 after the team did not send him a qualifying offer, but that precedent shouldn’t have any sort of bearing on team decisions some five years later. 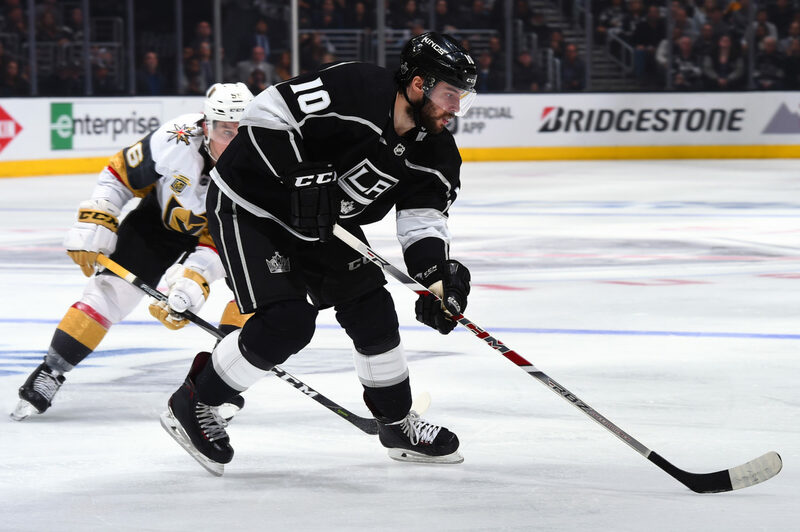 Rieder joined Los Angeles in late February in a creative move to add speed and the potential for some secondary scoring when he was acquired from Arizona along with goaltender Scott Wedgewood for Darcy Kuemper. This was a move with minimal risk for the Kings. Kuemper was not going to re-sign with the club and would have tested the open market had he not been moved, and instead, Los Angeles received a forward with the potential to fill a depth scoring role at a position where it was needed at the cost of a player who had only a small handful of starts remaining in L.A. Ultimately, it produced no tangible bounty, and it appears the team and Rieder will part ways after a 20-game union. Kuemper, who signed a two-year, $3.7M extension with the Coyotes shortly after the trade, went 2-6-2 with Arizona down the stretch with a 3.22 goals-against average, an .899 save percentage and one shutout. Jack Campbell, who assumed the back-up role following the trade, maintained Kuemper’s excellent play in net for the club and went 2-0-2 with a 2.47 GAA and a .924 Sv%. He’ll serve as Quick’s back-up in 2018-19. The Kings will announce later today the players who have received qualifying offers. Kurtis MacDermis, Alex Lintuniemi, Paul LaDue, Jordan Subban and Justin Auger are those eligible. Of that group, LaDue and Auger are arbitration-eligible, per CapFriendly.